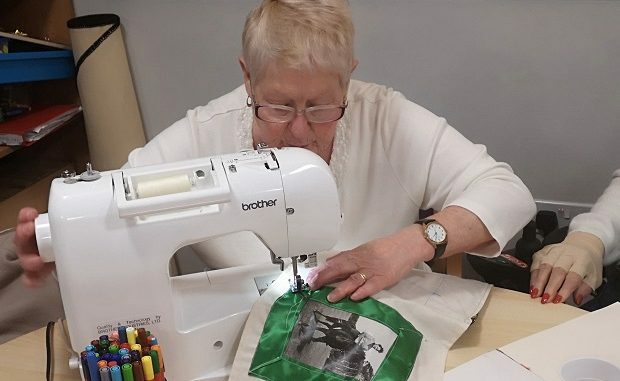 A creative group of women living with dementia have rediscovered magical memories while creating textile books, thanks to an innovative new workshop. 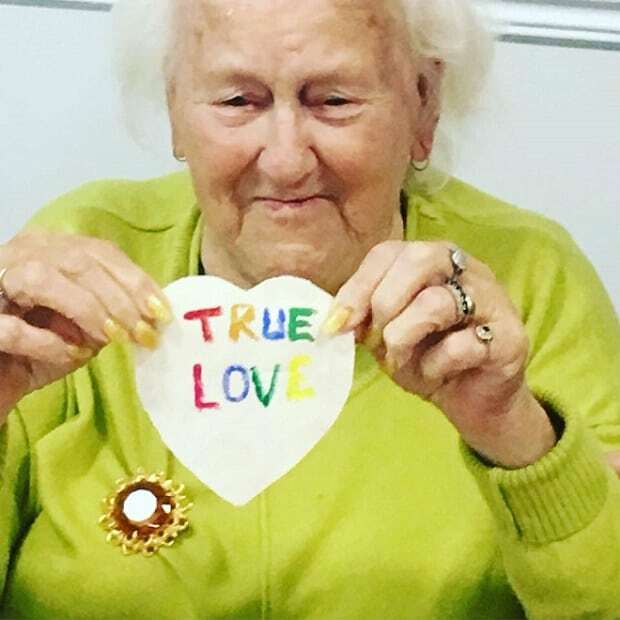 Artist and therapist Tracie Peisley started working with women and carers at Copperfields in Newington alongside Thanet community worker, Rachel Connelly. The sessions,Once Upon a Time, see the group share stories and reconnect through sewing practice, games and song. Tracie prepared linen covers and calico pages for the books and invited the women to personalise them with photographs, pockets, and hearts for loved ones. 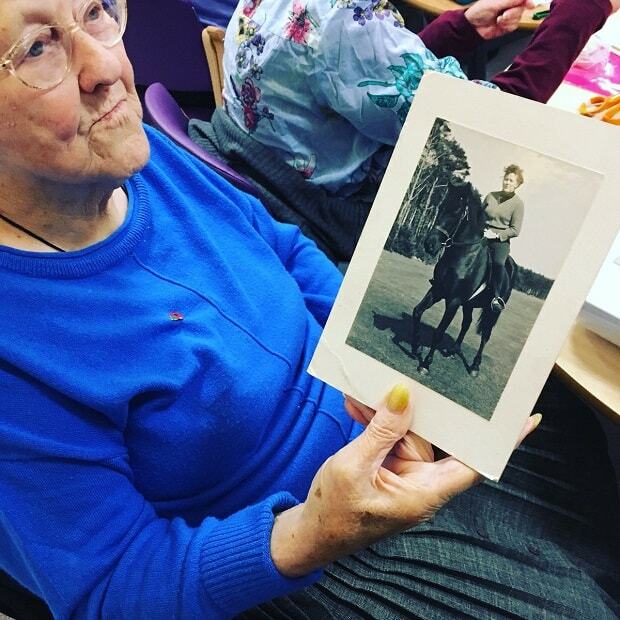 The results have stimulated a beautiful exchange of heartfelt stories with one woman, Rita (pictured), including photos of riding horses and regaling stories of childhood – Rita’s devoted husband was a horseman and they rode together. Group work is fundamental to the outcomes. “It’s not work I can do alone, the relationships are essential and the agency offered up by another person is critical,” she added. Singing individually and collectively provides a melodic ending to the sessions. Racheal Salvesen, Copperfields manager, says the residents have enjoyed the sessions and are now looking to sew in their spare time. The workshops are funded by ROSA UK, a charity for women, and forms part of arts festival, POW!